The selection committee will consider academic achievements in light of extramural factors specific to each student's academic journey (i.e. the imperative to work while attending school, necessity of assuming caregiver responsibilities while attending, other similar barriers) that may have disadvantaged nontraditional/post-traditional students otherwise deserving of consideration. 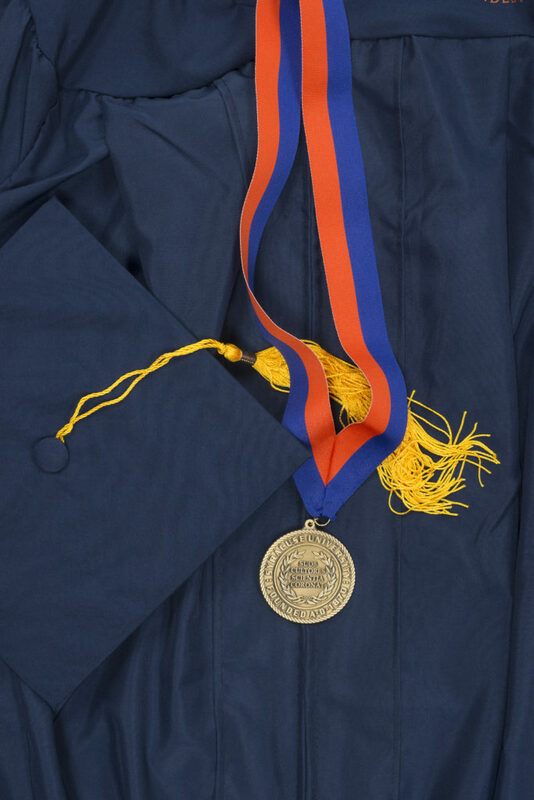 While academic achievement and excellence are the principal criteria for this award, community engagement may be considered, especially in cases where those activities are relevant to or an outgrowth of the student's academic pursuits. The University Scholars should reflect the diversity of race, economic circumstance, ethnicity, gender identity, sexual orientation, religion, disability, and/or record of military service that characterizes our student body. Schools and colleges should consider these factors as they select nominees. Students may be nominated by only one school or college. In the case of dually enrolled students, the student's portfolio should include representation of their work in both colleges in order to provide a comprehensive picture of their academic achievements. Students should contact their department or dean's office for more information. Letters of recommendation and nomination letters must explain why the candidate’s achievements uniquely qualify them for this academic honor.